You’re chances of winning a full-size Clinique 3-step Skin Care System are great in the Macy’s Clinique Sweeps. This is a daily entry instant win sweeps that ends on November 10 and the prize package has an approximate retail value of $37. There are 30 winners each day. You do need to go through a 9 question quiz when you enter, but it is quick and easy to complete. On Freebies 4 Mom, I like to share sweeps with you that have at least 1,000 winners each week in Sweeps 4 Mom. Good luck and please come back and tell me if you won! Just got my Clinique products via UPS. Not only are they full size, they actually seem huge! I love it! Also, a small mascara sample enclosed. Yeah, I won!! To my surprise all the products are full size, I thought I was just getting some samples. I also got a free mascara sample. Thanks :)! I’ve been playing almost everyday for the past month religiously b/c I LOVE clinique facial products and I finally just won. Yay! Thank you! Yay! I just won the Clinique contest… immediately after winning some Pace salsa!!! I guess today’s my lucky day. 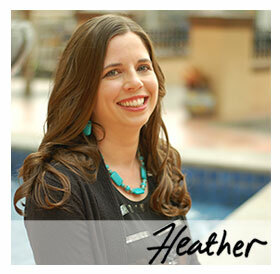 Thanks for posting all these contests, Heather. You rock! JBC – Hooray! I’m so glad you won the Clinique sweeps, way to go! Enjoy your prize!